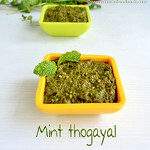 Pirandai thogayal ( Pirandai thuvaiyal) /Adamant creeper chutney, sounds interesting right?.Yes, I too felt the same when my MIL told about this recipe.I have heard about this plant but I din’t know it is edible.After I browsed its health benefits, I was so happy that I got to know a very useful, healthy recipe from my MIL.Thanks a lot aunty.This thuvaiyal tasted more like thengai/coconut thogayal and I loved its taste very much. 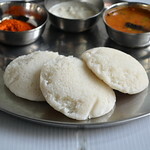 I haven't tasted it with idli,dosa. I hope it tastes good. As pirandai has amazing health benefits, I wanted to share it with you all ! Cissus Quadrangularis is the biological name of pirandai.It has high vitamin C and calcium. Pirandai is helpful to cure knee problems and its juice mixed with sesame oil is used in the treatment of fracture and sprain. Its is also helpful for ladies with irregular menstrual problems. Pirandai recipes are useful for people with indigestion issues,flatulence,nausea,cough and piles. Never use your hands for washing pirandai.Just show under tap water. Always grease ur hands with sesame oil to avoid your hands from itching. Use tamarind in all pirandai recipes else it will make your tongue itchy. Here is the picture of Pirandai which my MIL brought from our house backyard. Grease your hands with gingely oil to avoid itching.Wash pirandai under tap water and peel the outer ridge of pirandai like we do for ridge gourd.Remove the top and bottom part.Chop them into small pieces.Soak tamarind in little water. 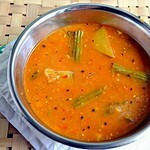 In a kadai,heat a tsp of oil & roast the chillies,urad dal.Remove and in the same kadai,add little more oil and saute the pirandai.Saute till it shrinks and changes its color.Saute well else it will make ur tongue itchy while eating.Remove,let them cool and grind everything together adding tamarind,salt and water to make a smooth paste. 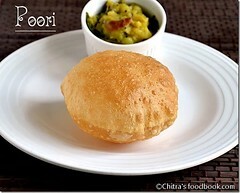 Serve with plain rice topped with ghee or gingely oil. Adding ghee is recommended as pirandai has a tendency to increase the body heat. Ghee helps to subside it. 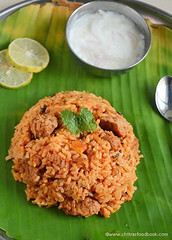 Try this healthy pirandai thuviayal for rice, mix with rice & ghee and enjoy ! I love maa inji a lot. Basically I love ginger based recipes like ginger pachadi,Puli inji(kerala style) very much. So this mango ginger is no exception. Actually I wanted to post maa inji thokku, but before that I thought of sharing this simple & easy maa inji pickle, my MIL’s version. I tried two different methods and shared the same.Try whichever u like.Both can be made easily with simple ingredients.Its a great accompaniment for curd rice and dal rice. Wash and peel the skin of mango ginger.Chop into small roundels(u can also chop it finely). To this add finely chopped green chillies,hing,salt and lemon juice.Mix n serve ! Wash and peel the skin of mango ginger.Chop into small roundels. Add the chilli powder,salt,methi powder,lemon juice.. Finally temper for both the versions.Give a standing time of 30 minutes before serving. 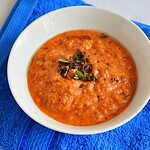 Serve with curd rice and enjoy ! For variations,u can chop mango ginger finely. Tempering is also optional. Recently i attended Raksha’s friend’s Birthday party. We moms are also good friends. It was like a fun filled get together for us, more than a birthday party. I loved the way my friend conducted the party. 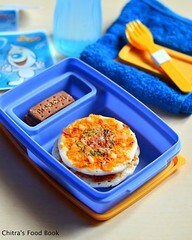 It was so fun and interesting for kids as well as parents. It was not like a normal cake cutting party. Instead she conducted some events/Indoor games for everybody including parents with some attractive and useful prizes. Kids were so enthusiastic to participate in the events and so were us. Though the games were very simple like ball passing,placing caps etc by playing music, they were very interesting and all the kids thoroughly enjoyed it. Raksha and myself won three prizes . I have shown the picture of prizes in the below picture . In addition to these prizes, birthday caps, face masks and yoyo were given to all the kids. We had our lunch over there and it was a simple menu but filling and attractive to kids and parents. Though the number of items were less, everything were very tasty. Usually i hesitate and scare a lot to conduct party in my home and i have never conducted any parties. Other than family members, I haven’t invited anybody for Raksha’s birthday so far. But after attending this party, I got some ideas and confidence of conducting a party in my home. Hope I‘ll do it for Raksha’s next birthday. I tried the same party menu at home last Sunday. As I was so much attracted by that party, I wanted to blog it for my future reference and for some beginners who are looking for simple party menu ideas. Hope you’ll find it useful. Colorful ribbons , Happy birthday banner , Balloons , Birthday knife , Candles.party foam,Chocolates inside a big balloon. In the recipe menu , i have mentioned the order in which the recipes were served to us. 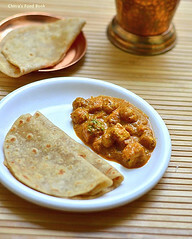 As all these recipes can be prepared in advance, u don’t need any helping hand to prepare them. U alone can do everything and take the credits . Here is how my friend conducted the party. As soon as all the friends and guests gathered, store bought aerated drinks like Pepsi, Fanta, 7up were served. She kept some events for kids and parents.U can plan some games like musical chair,passing a ball,placing a cap by playing a music and much more.Everything finished off in 30 minutes. After that cake cutting went on. After cake cutting, she conducted one more event for kids. In the mean time, her family members arranged all the recipes in a plate and kept ready for serving. In a disposable/Use & throw plate (like the one in the picture), they served a piece of cake, a sweet(I made gulab jamun with ready made mix), mixed veg salad, masala vada, vegetable pulao with raita and potato chips were served with a plastic spoon & fork. After we finished eating,they asked for second serving.Finally they served curd rice and pickle. Last but not the least, the lunch was finished with a small cup of ice cream. In the above recipes, pulao, raita, salad, masala vada and curd rice were prepared at home. Remaining were store bought. We parents enjoyed all the recipes but when i noticed most of the kids happily ate salad (as it had corn), cake(particularly cream ), pulao, chips and of course ice cream . Some kids had curd rice instead of pulao as it was mildly spicy. If u are preparing gulab jamun ,make it the previous day and store in an air tight box.To me this is the easiest sweet universally loved by all.U can also plan for other sweets like kaju katli,burfi or make carrot halwa and serve as a dessert along with ice cream.If u want to make the job most simple,buy some sweets from stall as my friend did in the party . Prepare the salad the previous day night and refrigerate by keeping in a box.On the party day,add freshly grated coconut,mix and serve. For curd rice,make 4 cups of rice.Prepare and refrigerate it in the early morning.As soon as u finish making the pulao,take the curd rice out and do the seasoning.Adjust the consistency and keep it ready.Do check out my curd rice post on how to make it creamy for parties. Prepare masala vada batter and refrigerate the previous day.Make vadas at the end and keep it open till it cools down.Make it slightly thinner to maintain its crispness. If u do not want to have masala vada in ur menu,u can try making gobi 65 or simply stop with potato chips. 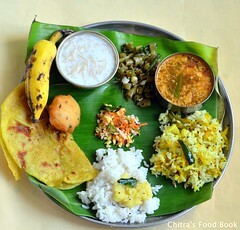 To make a grand lunch, u can include any starter like cheese balls, Gobi 65,plain rice, rasam, papad, Roti and a paneer gravy .. 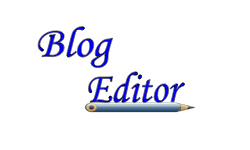 Thanks for visiting this page .Hope u find it useful !